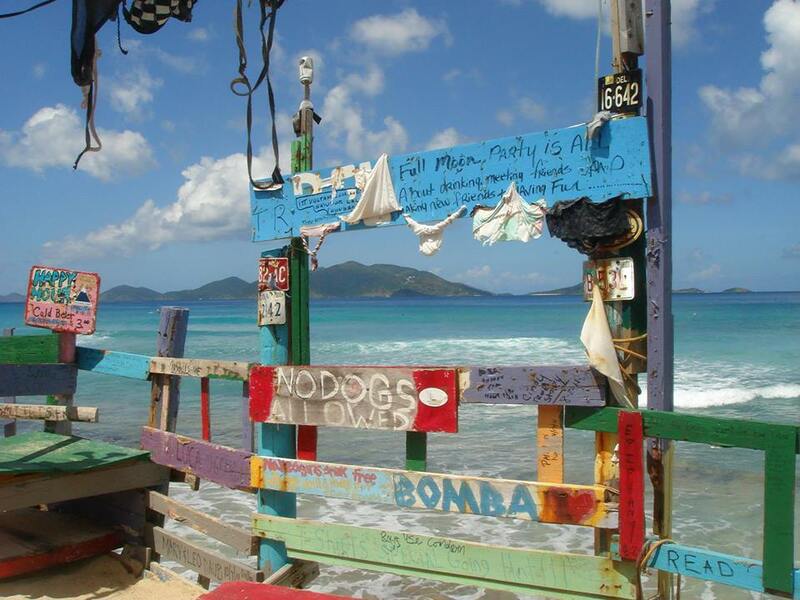 Bomba Shack Beach Bar – Tortola – Looking for a full moon party in Tortola then head on over to Bomba Shack. Here you’ll find the quintessential Caribbean beach bar with one of the most unforgettable characters, Bomba. Bomba built the shack back in 1976. The full moon party is not to be missed, the location is amazing and he even has his own mystical mushroom tea for the adventurous at heart.